Ryan Bali Garment is a garment manufacturer with 15 years experience. 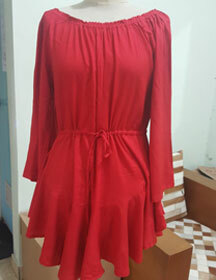 Based in Bali, we make all sorts of mens and womens clothing. From t-shirts to evening gowns, for all ages. We are experts in the garment making process from pattern making, cutting and sewing. If required, customers can opt for a custom fabric design. Dying and printing on their preferred fabric. All garments made undergo strict quality control and finishing, while maintaining a competitive price. Once packed, products are shipped internationally to Japan, USA, Europe and Australia. We serve orders direct from this website or you can come and visit our workshop. We leave the designing up to you. A minimum of 2 pieces samples must be made. One for you and one for us. Your designs will be kept safely from all other customers.